I know that winter just arrived, but I’m ready to watch it go! I’m not a huge fan of the cold temperatures. So, I will be watching anxiously to see if Punxsutawney Phil sees his shadow on February 2. My hope, of course, is that he does not see his shadow and that spring will arrive sooner rather than later. Groundhog Day is just around the corner. 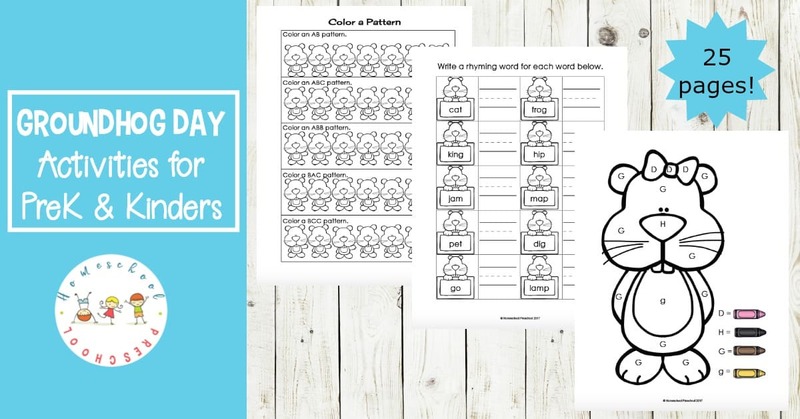 Your little ones will love this free printable pack of Groundhog Day activities for preschoolers! 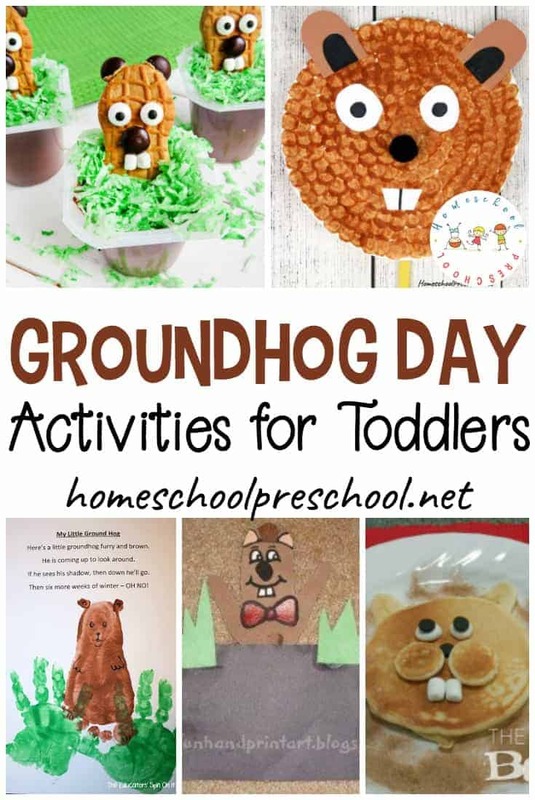 This pack of Groundhog Day activities is perfect for preschoolers. It can easily be adapted for tots and kindergarteners. I love being able to include everyone in the lesson. Counting practice: On one page, preschoolers will count the items and circle the correct number. On another, preschoolers will count sets of 1-5 and glue the number in the right spot. Letter recognition: Kids will hunt for the letters G and g on a letter grid. Color pages: This pack includes a color-by-letter and color-by-number page. There is also a plain coloring page. Rhyming: Read the word in the box, and write a rhyming word on the line. Telling time: Read the clock and tell time to the nearest half-hour. 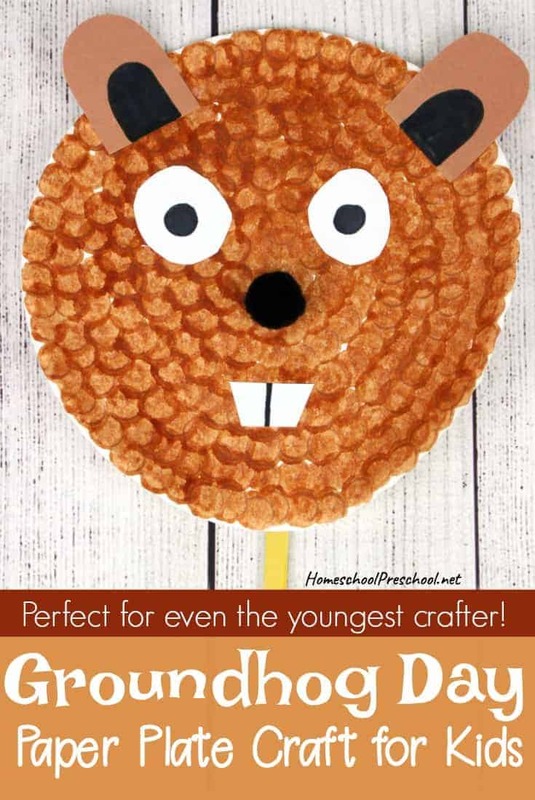 Get your Groundhog Day Activities. 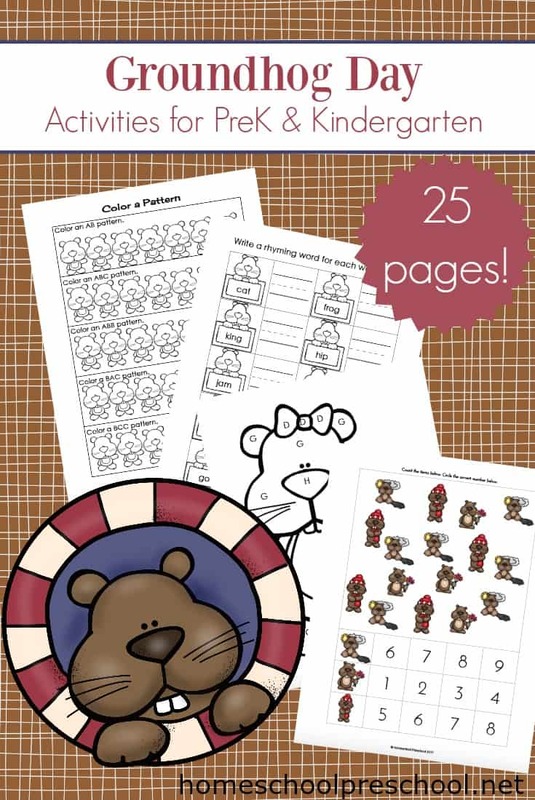 This Groundhog Day activities pack is only available to my readers. 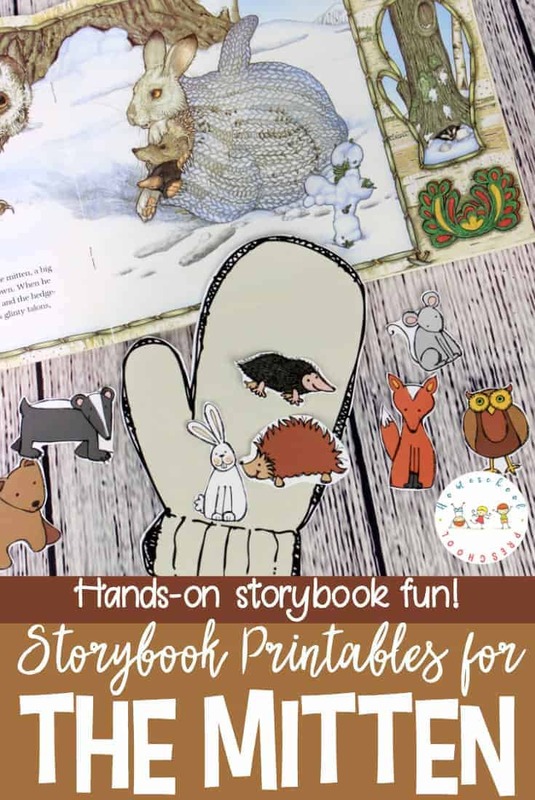 Click the button below, enter your information, and download your printables. I am not able to download Groundhog pack. Not sure why. Can you help? I have updated the download link, and it is working now. Sorry for the inconvenience.